VRS technologies are one of such leasing companies that are ready to offer the plethora of products and services to educational institutes in terms of Renting a Laptops, iPad’s, notebooks, desktops SlimBook’s and Apple MacBook’s etc. 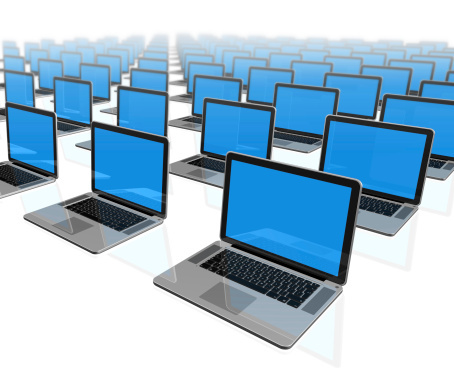 We offer discounts on all the major and bulk laptop rentals. The charges for the rentals are also very nominal, making it easier for the educational institutes also to lend the computers on rent. We offer the products on rental for a few days to five years and one might renew the rentals once expired. We also offer free maintenance and services for all the products during the rental period. Any business event without a laptop is incomplete. In a week from now, you have a major business event that is going to take place with delegates coming over to your office to attend the meeting. What would you do? In such a case, it is your duty to provide them with laptops, not to mention the good quality laptops as it is the brands and the condition of the products you use to project your image in front of your clients. In such a case as this, it is inevitable but to go for laptop rentals from a good leasing company, as it makes it highly impossible for you to acquire the bulk of laptops otherwise for a single occasion. or for any IT solutions for that matter. We offer special discounts on the bulk orders on the rental value, which is already quite competitively placed. We go by the belief that customers are Gods and no matter how tiny the order is, we treat them with the same respect and esteem. Each one of you is our valued customer and we never shy away from proving this point. Our strength lies in our team of extremely talented professionals who never give you a chance to complain. We see to it that all the products that we offer are in good condition and that all the service and maintenance is covered at free of cost if rentals are for a long period of time. What is more, we offer all kinds of standard, deluxe laptops on rent with good battery life, and we ensure that the laptops are well formatted for the next use so that your security is not compromised. Visit our site www.vrscomputers.com for more info about Laptop on Rental in Dubai. Contact us at +971-55-5182748 and discuss your requirement.